Want to set the first steps into Microchip PIC programming? This board is all you need! The tutor can help to get you started into the magic world of PIC programming. Later it can also be used for more advanced programming. Use the free tools from Microchip, the PICKit2 programmer tool and the MPLAP IDE environment. 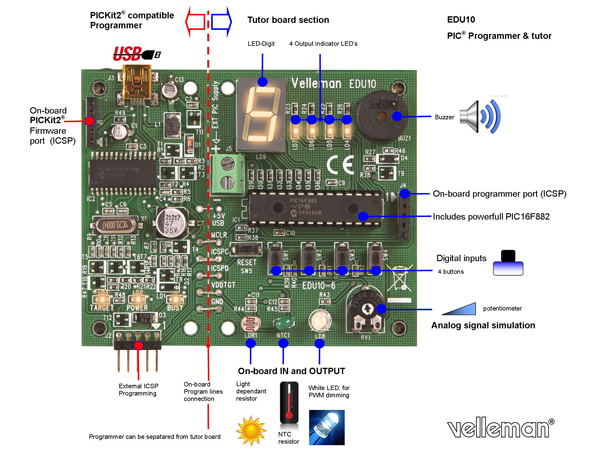 The boards can easily be separated, for independent programmer use. An external supply connector for the tutor board is provided. 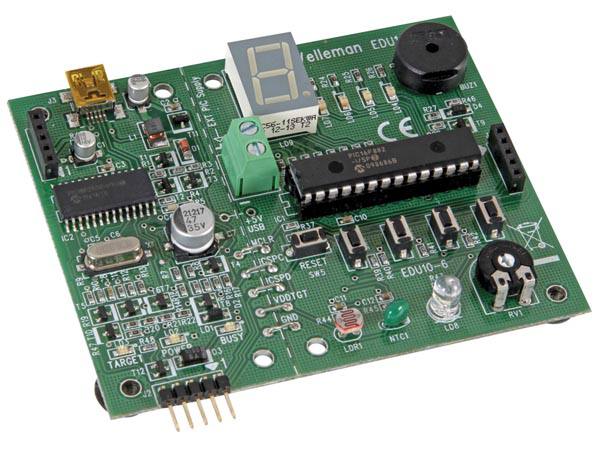 All PIC micro controllers that are programmable using the Microchip PICKIT2 programmer, can also be programmed using the EDU10. You can find the list in the MPLAB software package.